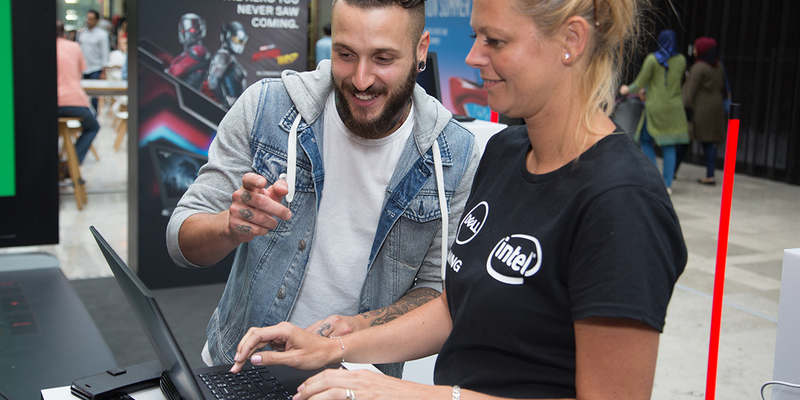 To promote the new Dell G5 Gaming Laptop in partnership with Intel and Marvel. 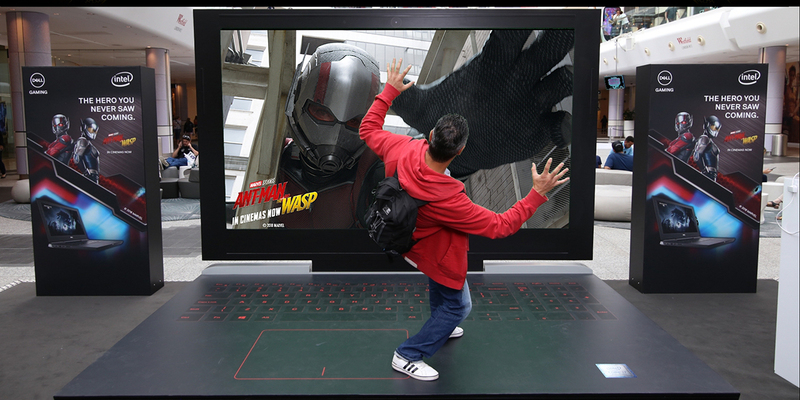 The launch of the Ant-Man and the Wasp film provided the ideal foundation on which we could design and develop an interactive, digital and educational experiential campaign. 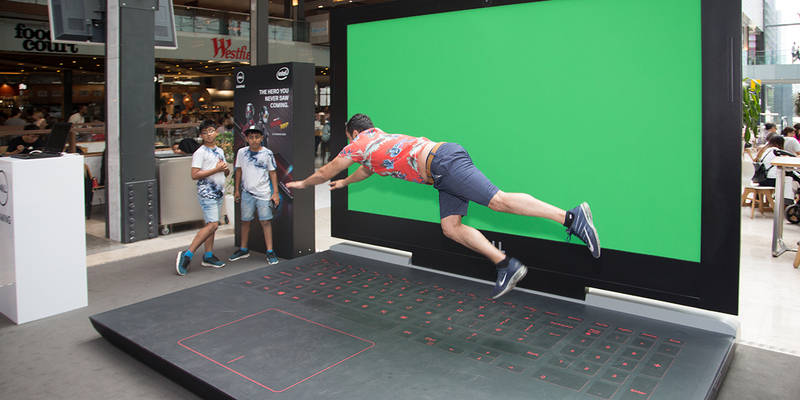 We created a giant 6 x 5 metre laptop incorporating a green screen solution where the laptop screen should be. 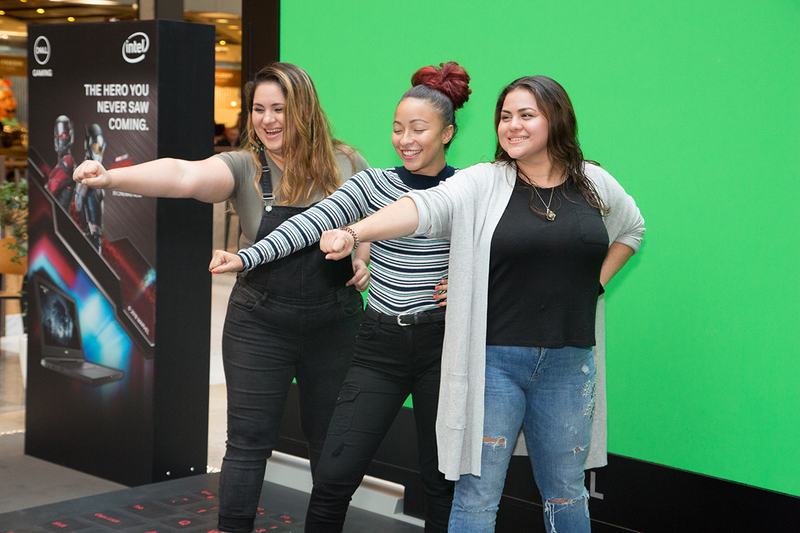 We created 6 different movie backdrops that customers could make their best Ant-Man pose within for the chance to win a G5 laptop. G5 gaming laptops on branded plinths were available for visitors to road test with Dell trained staff to communicate and educate on the G5 USPs. Data capture was also an important part of the campaign. For maximum exposure, the activity was run at both Westfield’s in London over six days. During the campaign we saw over 6000 visitors enter the competition.